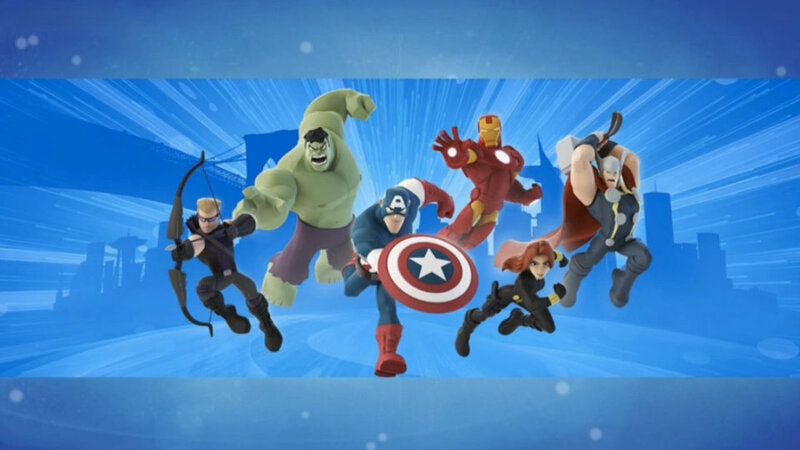 Today, Disney Interactive—with an introduction from The Avengers’ Nick Fury (Samuel L. Jackson)—previewed Disney Infinity 2.0 Marvel Super Heroes. Agent Phil Colson (Clark Gregg) from Marvel’s Agents of S.H.I.E.L.D. walked onstage at the Cinerama Dome to begin the presentation and Jimmy Pitaro, president, Disney Interactive, gave us a glimpse at years of fun ahead by showing Rapunzel wielding a lightsaber. The game will be released this fall. Marvel’s Chief Creative Officer Joe Quesada says that the team has drawn upon the great history of Marvel characters and explains that what has always separated Marvel Super Heroes is that they have always been “real people” with real world problems. Their “humanity” is what has made them aspirational and relatable and has helped them stand the test of time. Quesada was excited by the question of how to adapt Disney Infinity into the Marvel world, and make it “uniquely Marvel but still fit within the world of the game.” The game figures include Iron Man, Captain America, Black Widow, Thor, and Hulk. John Vignocchi, executive producer and John Blackburn, vice president and general manager, listened to the community in creating the high-quality collectible figures players and new ways to play with them in the software. Disney’s new musical comedy Aladdin today received five Tony Award® nominations, including Best Musical. Additionally, Aladdin was recognized with nominations for Best Original Score (Alan Menken, Howard Ashman, Tim Rice and Chad Beguelin), Best Book of a Musical (Chad Beguelin), Best Performance by a Featured Actor in a Musical (James Monroe Iglehart), and Best Choreography (Casey Nicholaw). This season, Aladdin has already been nominated for eight Outer Critics Circle Awards, seven Drama Desk Awards, and two Drama League Awards, including Best Musical nods from all three organizations. Produced by Disney Theatrical Productions, the show features music by Tony Award and eight-time Oscar® winner Alan Menken (Beauty and the Beast, Newsies, Sister Act), lyrics by two-time Oscar winner Howard Ashman (Beauty and the Beast, The Little Mermaid), three-time Tony Award and three-time Oscar winner Tim Rice (Evita, Aida) and three-time Tony Award nominee Chad Beguelin (The Wedding Singer), with a book by Beguelin, and is directed and choreographed by Tony Award winner Casey Nicholaw (The Book of Mormon). Aladdin stars Adam Jacobs (Les Miserables, The Lion King) in the title role, Courtney Reed (In the Heights, Mamma Mia) as Jasmine, Tony Award nominee James Monroe Iglehart (Memphis, The 25th Annual Putnam County Spelling Bee) as Genie, and, as Jafar, Tony Award nominee Jonathan Freeman (Mary Poppins, The Producers, She Loves Me) brings to the stage the role he indelibly created in the animated film. The show also stars Brian Gonzales, Brandon O’Neill and Jonathan Schwartz as Aladdin’s sidekicks Babkak, Kassim and Omar, Clifton Davis as Sultan and Don Darryl Rivera as Iago. Merwin Foard and Michael James Scott stand by for several principals. 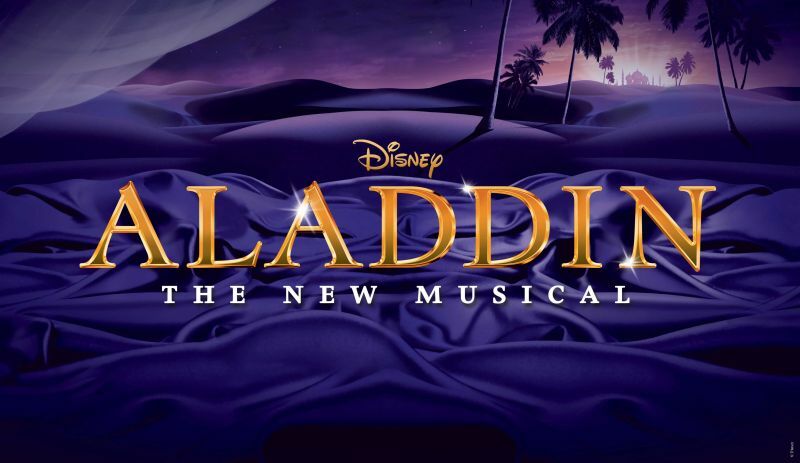 In a cast of 34, Aladdin also features Tia Altinay, Mike Cannon, Andrew Cao, Lauryn Ciardullo, Joshua Dela Cruz, Yurel Echezarreta, Daisy Hobbs, Donald Jones, Jr., Adam Kaokept, Nikki Long, Stanley Martin, Brandt Martinez, Michael Mindlin, Rhea Patterson, Bobby Pestka, Khori Michelle Petinaud, Ariel Reid, Jennifer Rias, Trent Saunders, Jaz Sealey, Dennis Stowe, Marisha Wallace, and Bud Weber. Aladdin, adapted from the Disney film and centuries-old folktales including One Thousand and One Nights, is brought to fresh theatrical life in this bold new musical. Aladdin’s journey sweeps audiences into an exotic world of daring adventure, classic comedy, and timeless romance. This new production features a full score, including the five cherished songs from the Academy Award-winning soundtrack and more written especially for the stage. The film won the Oscar for Best Original Score and introduced the hit song “A Whole New World,” which won the second of the film’s two Academy Awards as Best Original Song. The Peabo Bryson/Regina Belle recording of the tune soared to No. 1 on the Billboard Hot 100 chart. Aladdin is designed by six-time Tony-winning scenic designer Bob Crowley, three-time Tony-winning lighting designer Natasha Katz, two-time Tony-winning costume designer Gregg Barnes and sound designer Ken Travis. The production team also includes illusion designer Jim Steinmeyer, hair designer Josh Marquette, and makeup designer Milagros Medina-Cerdeira. The music team is headed by music supervisor and music director Michael Kosarin, who also created the vocal and incidental music arrangements, joined by orchestrator Danny Troob and dance music arranger Glen Kelly. Walt Disney Company, boosted investment in its Shanghai resort to about $5.44 billion to add attractions that will increase the park’s capacity when it opens next year. The new spending on the Shanghai Disney Resort by the company and its Chinese partner will amount to 5 billion yuan, or about $800 million, the Burbank, California-based company said yesterday. The total outlay was originally projected at 29 billion yuan, according to the resort’s website. Disney’s decision to increase spending was based on the outlook for tourism and travel in China, Chief Executive Officer Robert Iger said. Travel demand is rising as the number of upper-middle class and affluent households in the nation is expected to expand 18 percent annually between 2012 and 2022, Disney said in a statement, citing McKinsey & Co. Since debuting in 2012, “Doc McStuffins” has become one of the most popular shows on Disney Junior. 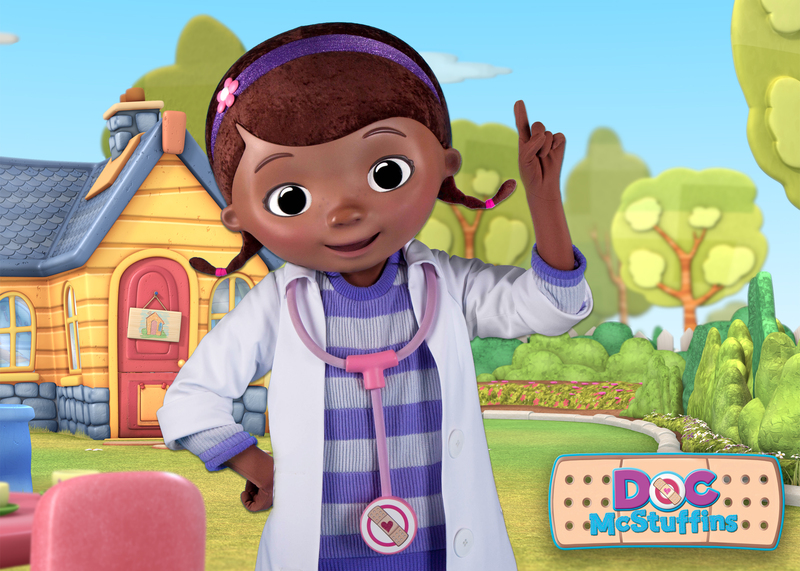 Doc is a nurturing, six-year-old girl who can talk to the stuffed animals and toys she cares for in her playhouse clinic, diagnosing their “ouchies” with help from her mom (a real doctor) and her Big Book of Boo Boos. The acclaimed, Emmy-nominated series airs daily on Disney Channel and Disney Junior. 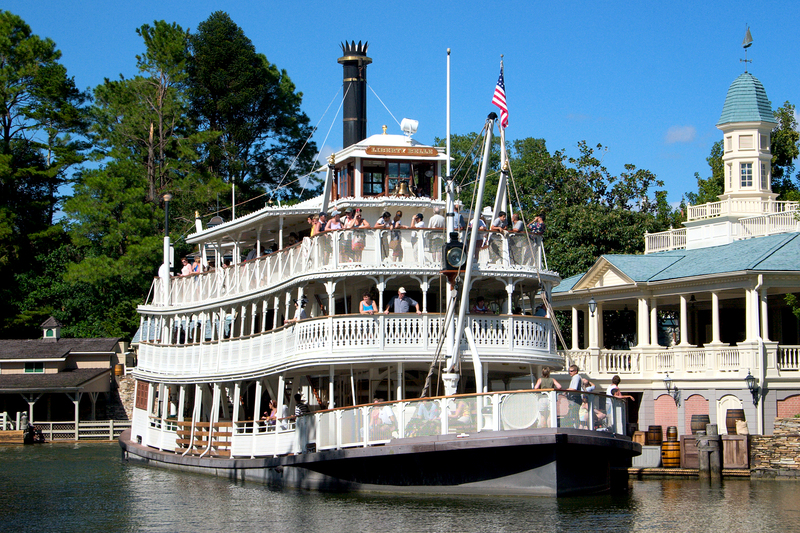 The Liberty Square Riverboat at the Magic Kingdom will be closing for a short refurbishment in August. The refurbishment will begin on August 4, through to August 8, reopening to guests on August 9 2014. The Tomorrowland Transit Authority PeopleMover refurbishment that was scheduled for May 3 to June 30 has been moved back. The new dates are June 2 to August 4, reopening to guests on August 5 2014. Following the TTA news, the originally scheduled refurbishment of the Astro Orbiter at the Magic Kingdom has been moved back later into the summer. The new dates are June 2 to September 19, reopening on September 20 2014. The previously scheduled dates were May 3 through to August 20. 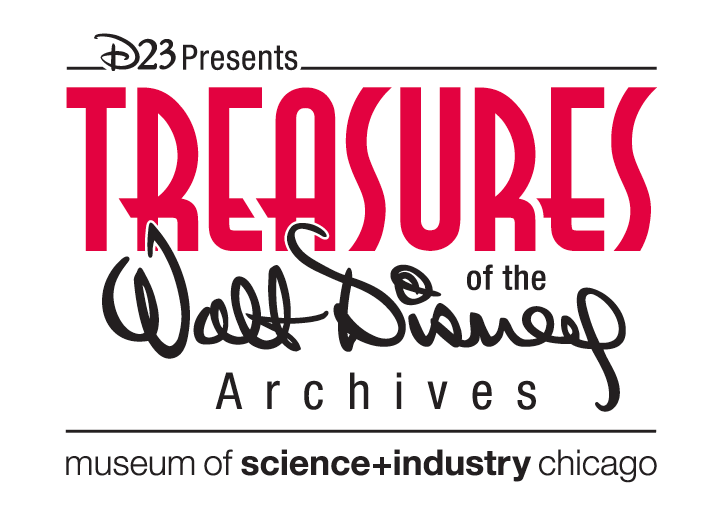 Due to popular demand, the Museum of Science and Industry, Chicago is extending the run of Treasures of the Walt Disney Archives, presented by D23: The Official Disney Fan Club. Guests will be able to enjoy the exhibit through August 3, 2014. From Mickey Mouse to Mary Poppins to Captain Jack Sparrow, the exhibition features more than 300 artifacts from nine decades of Disney’s rich history—including props; costumes; memorabilia; and artwork from classic Disney animation, theme park attractions, television shows and live-action films. Hands-on activities allow kids and adults alike to explore animation technology from all 53 Disney animated films and learn to draw one of their favorite characters in the Animation Academy. 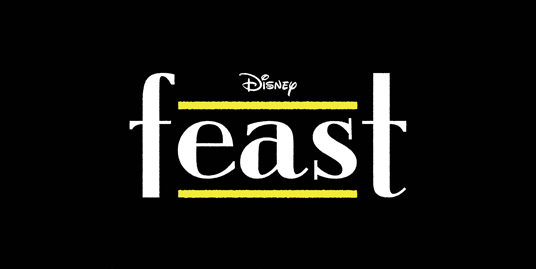 Making its world premiere at the Annecy International Animated Film Festival June 10, 2014, is Feast, a new short from first-time director Patrick Osborne (head of animation, Paperman) and Walt Disney Animation Studios. The story of one man’s love life is seen through the eyes of his best friend and dog, Winston, and revealed bite by bite through the meals they share. The short will open in theaters in front of Walt Disney Animation Studios’ new action-packed, big-screen adventure Big Hero 6 on November 7, 2014. Disney Channel will begin production this summer on Teen Beach Movie 2, the sequel to last summer’s Disney Channel Original Movie Teen Beach Movie. Ross Lynch (Austin & Ally and Hollywood Records’ R5), Maia Mitchell (The Fosters), Grace Phipps (Baby Daddy, The Vampire Diaries), Garrett Clayton (The Fosters), and John DeLuca (Twisted) will reprise their starring roles as Brady, McKenzie, Lela, Tanner, and Butchy, respectively. 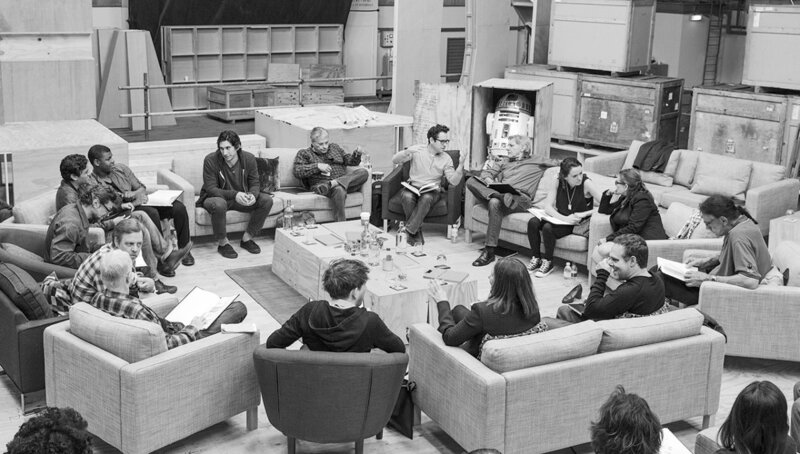 Additional casting will be announced shortly. Teen Beach Movie 2 will premiere in 2015 on Disney Channel. The cast was reunited, Saturday, April 26 at the Radio Disney Music Awards where the announcement was made during ARDY’s Pre-Show Party, which is now available on WATCH Disney Channel. The sequel is set months after surfer sweethearts McKenzie “Mack” and Brady return from a summer adventure that transported them into Brady’s favorite 1960s beach party movie, Wet Side Story, only to receive a surprise real world visit from Lela, Tanner, Butchy and their other newfound surfer and biker buddies. The first-ever WNBA Preseason Tournament 2014, featuring the defending champion Minnesota Lynx, Chicago Sky, Indiana Fever and Phoenix Mercury, will tip off on Friday, May 9 at the HP Field House at ESPN Wide World of Sports Complex at Walt Disney World near Orlando, Fla., the WNBA announced today. In addition to the four-game tournament, a full slate of clinics, practices and autograph sessions featuring the WNBA players and coaches will be conducted in conjunction with the AAU Spring Fling II girls basketball event which will also be hosted at ESPN Wide World of Sports Complex. Over 1,500 girls basketball players from the 3rd through 12th grade divisions will be on site competing in the AAU event. 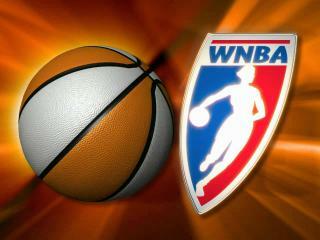 The WNBA Preseason Tournament 2014 games tip off at 6:00 p.m. ET on May 9 with a battle between Eastern Conference rivals, Chicago and Indiana. The Sky, which posted the best record (24-10) in the East a year ago, is led by 2013 WNBA Rookie of the Year Elena Delle Donne, while the 2012 WNBA champion Fever boasts former league MVP Tamika Catchings. That game will be followed by a clash between the defending WNBA champion Lynx and the Mercury, winners of the WNBA championship in both 2007 and 2009, at 8:30 p.m. ET. The Lynx, which topped the Mercury in last year’s Western Conference Finals en route to its second league title in franchise history, is led by Maya Moore, MVP of the 2013 WNBA Finals presented by Boost Mobile, while Phoenix is powered by 2009 MVP Diana Taurasi. The winners of the opening round of games will meet on Sunday, May 11, at 1:00 p.m. ET, and will be preceded by a consolation game with the other two teams at 10:30 a.m. ET. Fans will have an opportunity to purchase tickets for the WNBA Preseason Tournament 2014 starting today on Wednesday, April 23, 2014. Tickets may be purchased at the ESPN Wide World of Sports Complex Box Office or through Ticketmaster at 800-745-3000 or www.ticketmaster.com. The two-game package for Friday, May 9 is available for $20, as is the two-game package for Sunday, May 11. A four-game package is available for $35. *Prices do not include any service or printing fees. ESPN Wide World of Sports Complex has a long history of hosting WNBA and NBA events. The complex hosted the first WNBA Pre-Draft Camp, WNBA All-Star Weekend clinics, Orlando Magic training camp and the NBA Pre-Draft Camp in previous years.